In a breakthrough discovery in 2D material energy storage, a joint research team developed a new method of storing energy using nanomaterials. Materials scientists have found a way to restructure a class of nanomaterials into 2D material energy storage devices. While the world doesn’t lack power sources, mastering the efficient conversion and storage of energy is problematic. Many studies focus on the use of nanomaterials to develop efficient and low-cost means to harvest and store these energies. 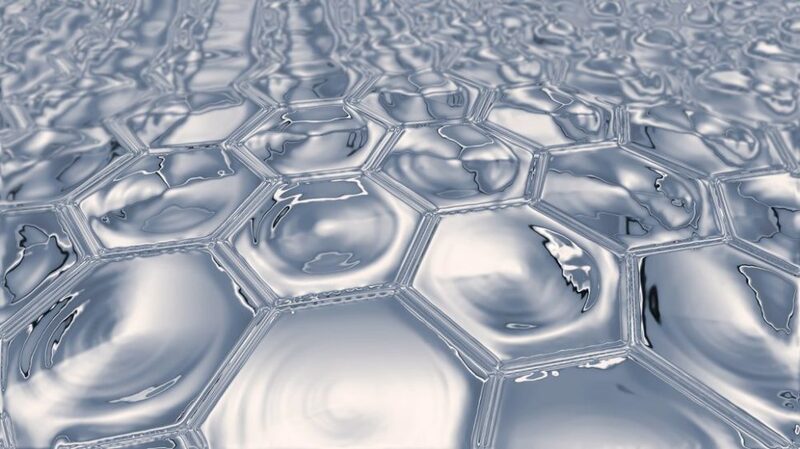 Since graphene was discovered in 2004, scientists have succeeded in isolating other two-dimensional materials. Exceptional properties of 2D materials open up to more and more industrial applications, including 2D material energy storage, and some are starting to come out of the research labs. A team of researchers from Drexel University and the University of Pennsylvania has developed a new technique based on nanomaterials that enable the building of efficient energy storage devices. The potential of 2D materials for energy storage has been demonstrated in labs and experimental systems have been developed based on nanosheets. The problem with these nanosheets, however, is that when their thickness approaches 100 microns, ion diffusion results in a drastic drop in their performance. “2-D materials intend to stack on top of each other like sheets of paper in a book, resulting in a prolonged ion diffusion length, which suppresses their performance when the thickness of the electrode approaches industrial standards,” said Penn’s Yu Xia, co-author of the study. This 100-micron thickness (almost the width of a human hair) is the industrial standard for 2D materials-based energy storage devices. To solve this issue, the team from Drexel and Penn worked on nanosheets based on a new class of 2D materials known as MXenes, which were discovered in 2011 by the Drexel Nanomaterials Group. The technique relies on MXene 2D sheets and takes cues from soft materials self-assembly process to make nanosheets stand up vertically and prevent stacking. The electrode films obtained “show excellent performance that is nearly independent of film thickness up to 200 micrometers, which makes them highly attractive for energy storage applications. Furthermore, the self-assembly approach presented here is scalable and can be extended to other systems that involve directional transport, such as catalysis and filtration,” said authors of the paper published in Nature. This technique will make it possible to build high-performance batteries and supercapacitors for electronic devices, electric cars, and also for wearables. In this same topic, other research efforts are exploring DNA’s dielectric and electrical properties potential for energy storage applications. What other fields do you think these 2D nanomaterials could be implemented in? Message of God Almighty Father to the humankind in this previous day to the pains of the mankind. May 22th 18.Beloved children of My Sacred Heart, Magnanimous, Magnificent, Almighty and Loving to humankind, What do you expect children? Repent, the Hercolubus is above you and you are not going to get more time worshiping nature, Adore Me, Nature obeys Me because I Created It you didn´t. all humankind Loves you all. Come back to Me quickly that time slips away and it will not come back for you, do you know, children? forgiveness if you didn´t repent before. beings of light because He is The Light of the world.